Going through medical treatment in hospital is no picnic, but the Norfolk and Norwich University Hospital (NNUH) still invited teddy bears to their wards to help children understand and cope with medical procedures. A member of staff, Sue Phillips, raised £200 through a crowdfunding page, an afternoon tea and a raffle to buy five Medibears. They are toy bears specially designed to show children and young patients with learning disabilities what happens during their treatment. The bears are fitted with a range of medical devices, such as hearing aid, cochlea implant, bandages and pacemaker to help younger patients understand what is going to happen to them. It is a fantastic initiative that reinforces the General Medical Council’s (GMC) guidance and standards on the relationship between a medical professional and the patient. The relationship is not one of medical paternalism and professional medical opinion. A patient, including children and young people with learning difficulties, should be told what they want to know and play an informed role, with their parents or guardians, in their treatment. Of course, this two-way relationship is important in relation to the legal requirement for a patient to give informed consent before any medical treatment. But it also gives the patient confidence in their treatment and demystifies what they are going through, which will give them peace of mind and help them cope. I am sure the Medibears will also help the children’s parents or guardians make more informed decisions about their child’s treatment in cooperation with medical staff. 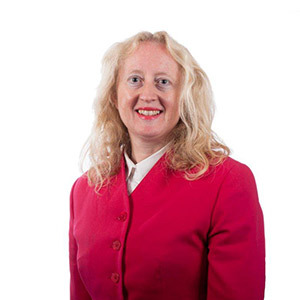 Susan Liver is a partner in clinical negligence for Birchall Blackburn Law and has nearly 30 years’ experience as a solicitor. To read more go to NNUH news.